A lone worker is a person who performs his or her duties alone. He or she is always isolated from the other workers, and they work without supervisions. 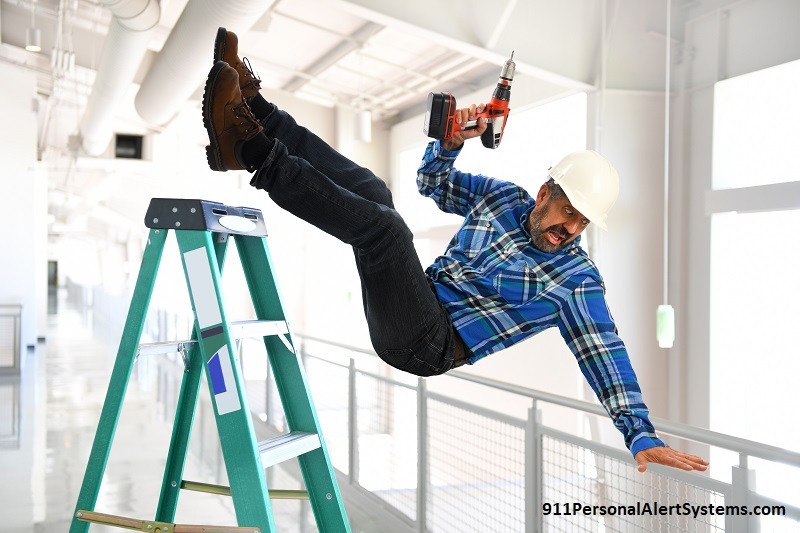 Lone workers without a safe personal alarm are exposed to risks and accidents because they are alone and there is no one to help them in case such accidents happen. They are prone to injuries, illness and others even disappear for hours only to be found later. With the advancement in technology, companies have installed monitoring and safe personal alarm for lone workers alert systems in isolated areas, employers are notified of any danger that might arise against the workers. This way the workers can work comfortably and freely regardless of the environment. Maintenance workers are prone to massive risks, and they work mostly alone. They are known to handle heavy tools and work at height; this means that they do not work from the ground. They also handle types of equipment with a high electrical voltage. Maintenance workers are likely to suffer illness accidents and falls. They spend almost all of their time on the road. Types of drivers range from logistics drivers and bus drivers. Generally, whenever an employee drives a company car, he/ she should be monitored to ensure quick response in case of an emergency. In a lab, there is the presence of hazardous chemicals and fumes. Lab workers isolate themselves from others to perform experiments. At times tests may go wrong, and spillage of chemicals might occur; thus it is essential to monitor lab workers. Before choosing the appropriate alert system to use in your place of work, it is advisable to consider several factors. Such factors may include. Is the alert system GPS enabled? Does the alert system has a long battery life? For a company, it is advisable to ensure that they acquire quality alert systems to monitor their employees. The alarms should have the GPS feature to enable easy location of the lone worker. GPS feature is quite helpful in drivers or lone workers in motion. The following are factors a company should consider before choosing an alone worker alert system service provider. Are they certified and licensed? Is there training on how to use the device? How quick is the response? Red alert is helpful in emergency situations. A lone worker presses a button, and immediately he or she notifies the designated operator, who will, in turn, take the necessary measures. The primary role is to detect when employees fall. Once it detects a fall, it sends a signal to the alarm receiving center. In summary, if you or someone you know needs the safe personal alarm system for alone workers to ensure they make the right choice, help recommend this article and the iHelp+ 3G™ which is the perfect solution for those who primarily work alone (lone worker). It has 3G wireless coverage, which means that you can take it anywhere with cellular coverage, and we’ll get you help when you need it. iHelp+ 3G™ is one of the best and safe personal alarm systems for their workplace safety.